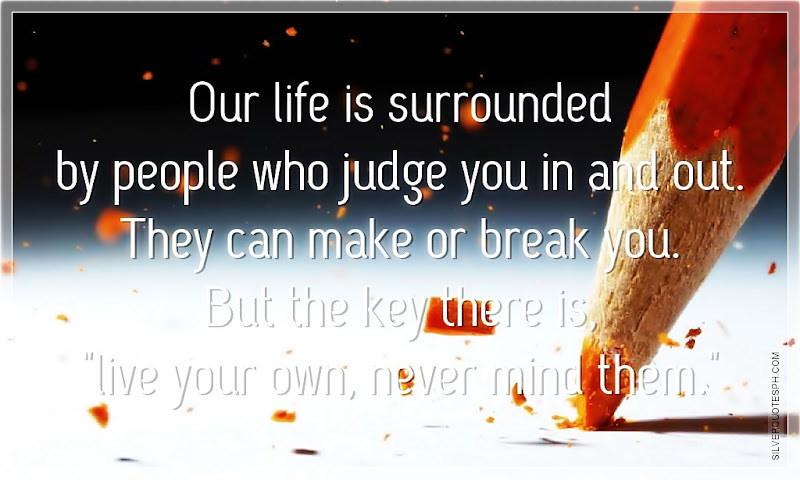 Our life is surrounded by people who judge you in and out. They can make or break you. But the key there is, "live your own, never mind them."